A KIDS’ FITNESS PROGRAM FOR THE MIND AND BODY TO STAY ACTIVE! 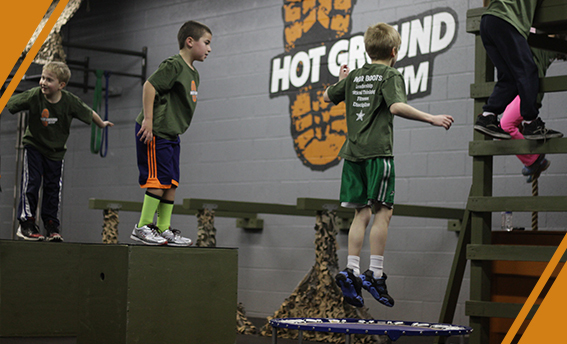 Junior Boots™ program is a “five-dimensional concept” a revolutionary training platform that was designed by the founders of Hot Ground Gym®. “five-dimensional concept” (5DC) consists of 5 pillars that we believe are essential for child’s physical, mental and character development. The five pillars are, Obstacle Course Fitness, Teamwork, Leadership, Critical thinking and discipline. 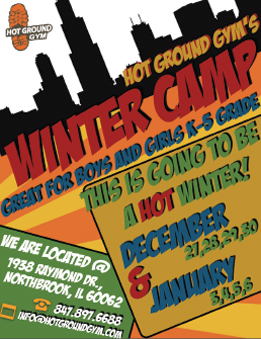 Far more than just an after-school activity, Hot Ground Gym® has designed Junior Boots™ program to be a comprehensive kids fitness and educational program that nourishes the development of children from Kindergarten to 8th grade. 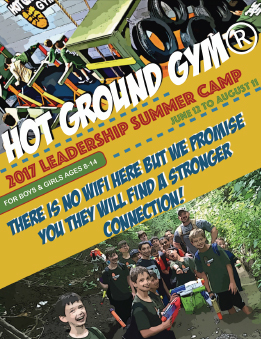 Fun, challenging obstacle course,“never give up” mindset, team building missions and encouraging environment makes this class to stand out from any other after school activities. Our classes are broken down into 3 age groups. Alpha Company K-2 grade Bravo Company 3-5 grade and Charlie Company 6-8 grade. Our camps offer a blend of learning and growth, adventure, and fun kids activities. They’ll grow under the guidance of dynamic instructors with military experience and surrounded by a supportive group of friends. At the end of every day, kids will head home as physically and mentally stronger individuals. The goal of the camp is to expose kids to variety of skills, experiences, scenarios and challenges so that they can be engaged in active activities while learning interesting skills. Our camp is fun, creative, supportive and positive. We will make sure that this winter will be hot. Take on obstacles you have never seen before, challenge your mind, and push yourself to your limit by racing through a course packed with fun.